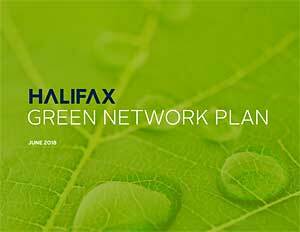 The Final Draft of the The Halifax Green Network Plan, under development for several years, was released on June 21, 2018. Landscape Level Planning to conserve and enhance biodiversity and ecosystems services within the municipality and across its borders is a key element of the plan. 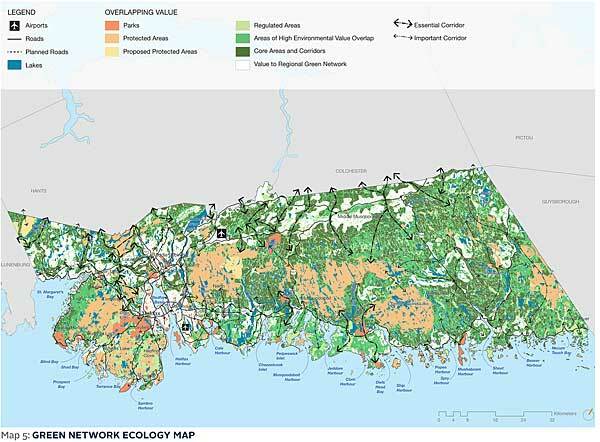 The Halifax Green Network Plan acknowledges that specific forestry practices remain under provincial rather than county/municipality level jurisdiction. Given the well expressed concerns of Annapolis County , we can hope for some recommendations for changein this regard from the impending report from the Independent Review of Forestry Practices in Nova Scotia, e.g., such as those in Ontario where legislation enabling municipalities to pass Tree Bylaws was introduced in 1946. *Halifax Municipality, now identified simply as Halifax, comprises the whole of Halifax County, the largest of Nova Scotia’s 12 counties (5496 km2 out of 52,939 km2 for the province as a whole) and hosts nearly half of the population of Nova Scotia (403390 in 2016/921,727 for the province; stats from Wikipedia). The moment that many of us have been waiting for since 2014 when the Regional Plan directed staff to create a greenbelt for Halifax has finally arrived! Halifax Regional Municipality introduced the final draft of the Halifax Green Network Plan on June 21st. This entry was posted in HRM Greenbelt. Bookmark the permalink.